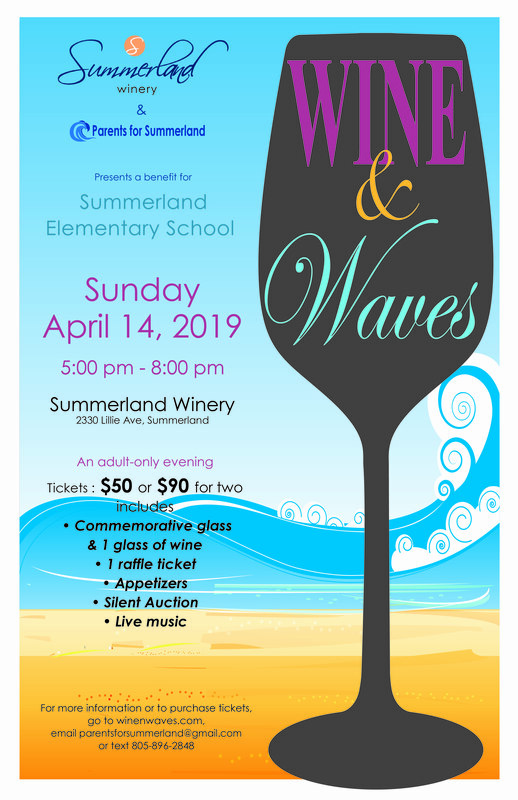 Wine â€˜n Waves, an adults-only benefit for Summerland School, will be held again at the Summerland Winery, 5-8pm, April 14th. Get to know your neighbors and visit with friends while discovering the unique Summerland School, described as the “jewel on the hill.” Join us for a little wine, a little food, and the smooth sound the sounds of Art of Funk! Join us for a lot of fun at the Â Summerland Winery, kind enough to partner with us for this special evening event.Â Tickets available at the door or at winenwaves.com.